Notes: Hame Castle (Finnish: Hameen linna, Swedish: Tavastehus slott) is a medieval castle in Hameenlinna, Finland. 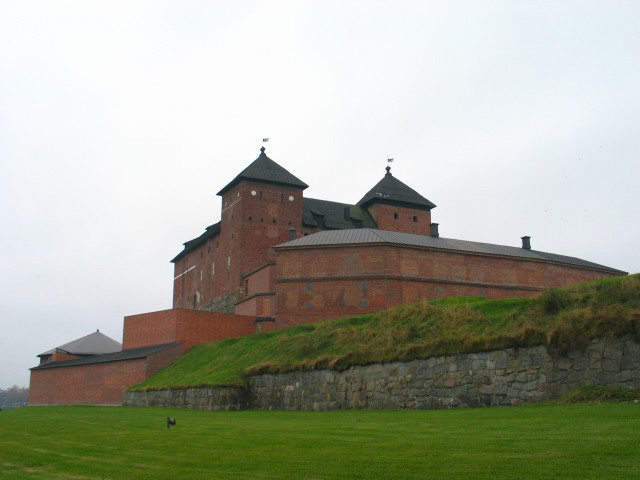 The castle is located on the coast of lake Vanajavesi in the city center. The castle was originally located on an island. The construction of Hame castle probably started after the Novgorod invasion. The first castle was made of gray stone, and later bricks were used. The castle lost military importance by the end of the 16th century. Its defensive systems were upgraded in the 18th century with bastions around the castle. The castle became a prison in the 19th century and served as such until 1953, when massive restoration work started. The castle has been a museum since 1988. Facilities can also be rented for private events.